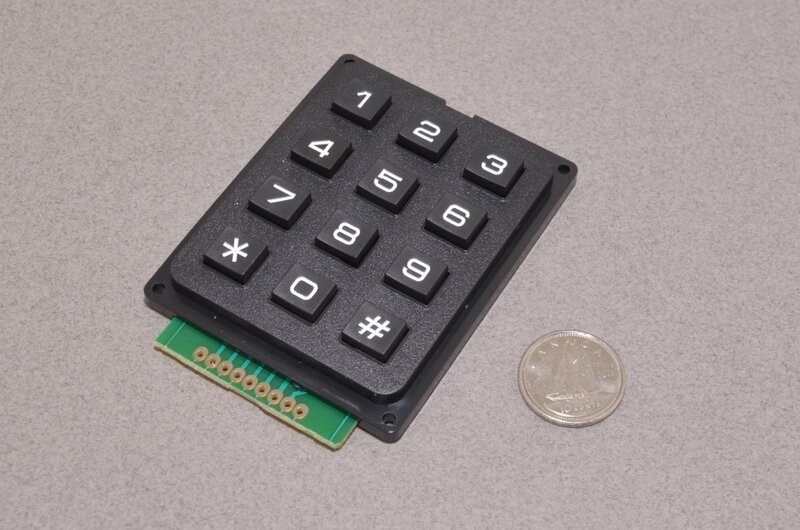 This simple matrix keypad has 12 buttons arranged in a 3 x 4 pattern. 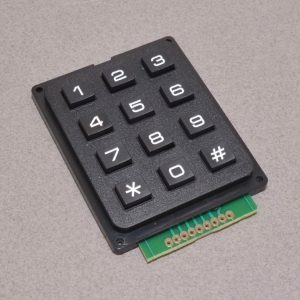 The number pad is similar to that of a telephone and is made of strong with sturdy plastic buttons. 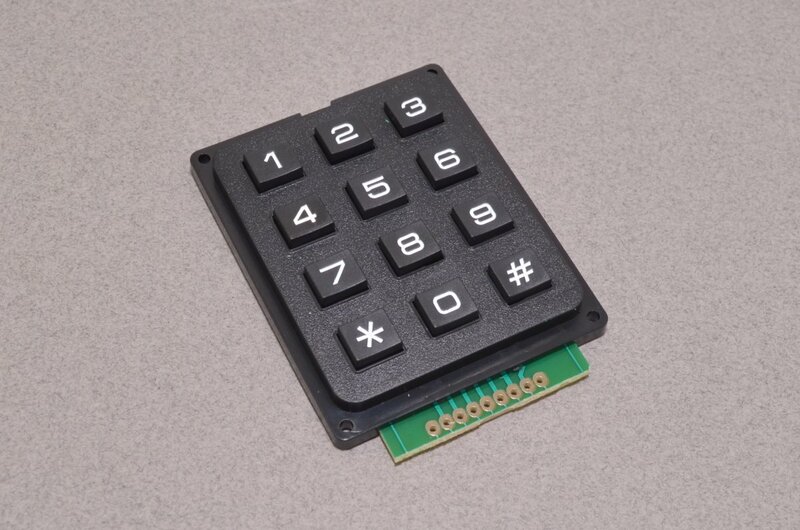 Since the keypad uses a matrix arrangement, only 7 digital inputs are require to add this to your project. 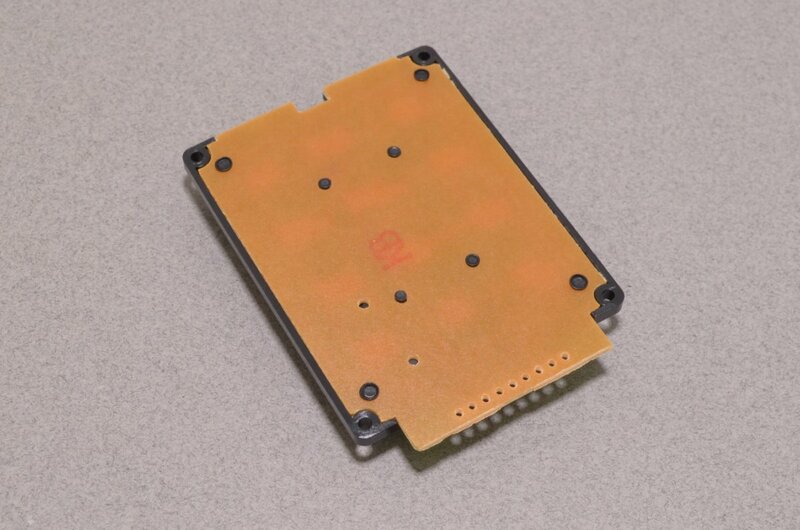 The connection to this board is made via 2.54mm breadboard pitch through hole solder pads. 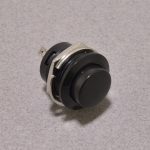 Solder wires directly to the board, solder the keypad directly to your project, or use breadboard pitch connectors – the choice is yours! SKU: BTN-025. 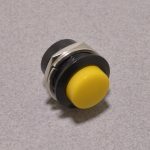 Category: Keypads. 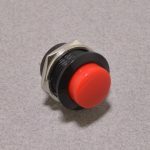 Tags: Button, Light Packet, Matrix.